Welcome to the March/April edition of the Microsoft Imagine Academy (MSIA) Newsletter! In this edition of the MSIA newsletter we’re announcing the release of Unit 3 to the “Introduction to Python” course curriculum in the Computer Science Learning Path, a change to replace Touch Develop with Microsoft MakeCode in order to provide a more holistic, hands-on computing education platform, and revamped Microsoft Certified Educator (MCE) exam based on the 21CLD and Innovative Teaching & Learning Research. At Microsoft, we continually evaluate and invest in building the right tools to help every student learn the computer science skills they need to succeed in the future. Recently, we determined we needed to replace Touch Develop with Microsoft MakeCode in order to provide a more holistic, hands-on computing education platform that will bring computer science to life through physical computing devices like the micro:bit and immersive experiences like Minecraft. 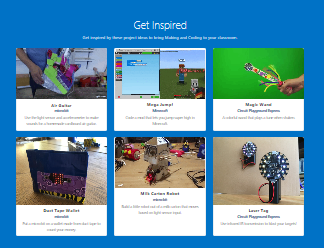 MakeCode is Microsoft’s programming environment for beginners. We are working hard to bring more courses to MakeCode, to make it a great place for educators and students. Currently, MakeCode supports programming of several hardware devices and Minecraft. Microsoft Touch Develop, will no longer be available as of May 23, 2018. 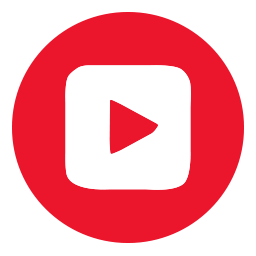 As a result, customers using the “Creative Coding Through Games and Apps” (CCGA) course based on Touch Develop will no longer have access as of May 23, 2018. Microsoft advises that all teachers have scripts graded by the 23rd of May, 2018. It will be expanded to include the fundamentals of Beginning Computer Science, including events, coordinates, variables, iteration, conditionals, functions, arrays, algorithms, and more, through a variety of hands-on activities. This new Introductory Computer Science curriculum will be available to existing Microsoft Imagine Academy customers for feedback in late May, with an expected full product launch later this summer. When the beta launches in May, we will include an initial set of lessons for each topic area, as well as an introduction, educator lessons, and even a few advanced topics. Information on transitioning from Touch Develop to MakeCode (especially regarding the sprite-based game engine) can be found at http://aka.ms/td2mkcd. Announcing Unit 3 “Introduction to Python” now available! 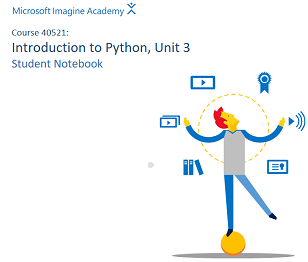 Microsoft Imagine Academy is happy to announce release of Unit 3 to the “Introduction to Python” course curriculum in the Computer Science Learning Path, available for members to download through the Imagine Academy Member Site. “Introduction to Python” uses Azure hosted Jupyter notebooks, requiring only a browser and internet connection, and features practice drills and projects focused on Python language basics and data structures. With the addition of Unit 3 to this comprehensive course students will be prepared for Microsoft’s MTA Exam 98-381 Introduction to Programming Using Python. Interested in becoming a Microsoft Certified Educator? 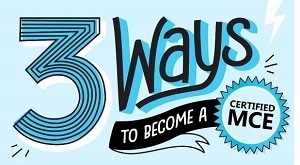 Here are three ways to do it! When teachers have the skills and confidence to engage their students and prepare them for the jobs of tomorrow, they don’t just do more things – they do amazing things. To help teachers shape the leaders of the future, Microsoft has recently revamped the Microsoft Certified Educator (MCE) exam. This certification is based on the 21CLD and Innovative Teaching & Learning Research, which provides a set of rubrics for educators to identify and implement learning opportunities for students to build 21st century skills. Educators who complete the certification are able to incorporate the 21st Century Learning Design (21st CLD) skills into learning activities, using Microsoft tools for education. 21CLD Learning Path exam training materials are available as a collection of 8 courses with 4-6 lessons in each course. This learning path provides teachers with clear and practical ways to develop 21st skills using digital technologies with their students. 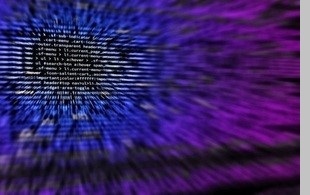 A new £40 million Institute of Coding that will teach people digital skills such as cybersecurity and artificial intelligence is to be set up in the UK. The venture will be launched by a consortium including Microsoft, in a bid to tackle the country’s digital skills gap. The institute aims to deliver practical digital skills to higher education students and those already in employment via industry-accredited courses at 25 traditional universities across Britain, and education providers such as the Open University, Birkbeck and FutureLearn. It will be funded via a £20 million investment from the Government and £20 million from the consortium and other industry partners. Dr Rachid Hourizi, Director of the Institute of Coding, said: “The strength of the Institute of Coding lies in the fact that it brings together educators, employers and outreach groups to co-develop digital skills education at undergraduate and masters level for learners in universities, at work and in previously under-supported groups across the country. Get the Imagine Academy discount on this new book from Microsoft Press. In the shopping cart, use code IAMEMBER for 40% off a print copy or IAEBOOK for 50% off an eBook copy. Click here to purchase. South Jordan, Utah (USA) Middle Students Crowned State Champs! They are “wiz kids” when it comes to Microsoft Office applications and they have the awards and recognition to prove it. 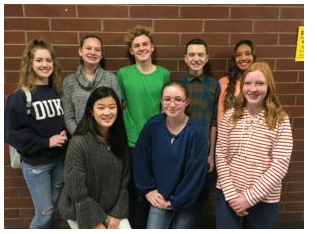 Students in Mrs. Deland’s Business Office Specialist class (formerly Computer Technology class) achieved amazing results on their recent Microsoft Certification exams. Read more here.